MINISTER of Environment, Tourism and Hospitality Industry, Prisca Mupfumira, says they are using the on-going World Government Summit to position and market Zimbabwe as a destination of choice. 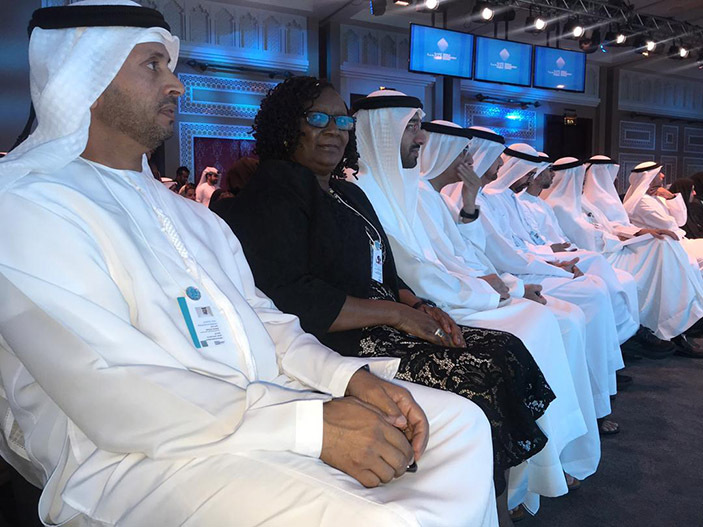 Minister Mupfumira led an eight-member delegation to the summit in Dubai until February 13. World Government Summit is a global platform dedicated to shaping the future of governments worldwide. In a statement, the Minister said they were focusing on increasing the visibility of the country internationally. “The World Government Summit is a neutral, non-profit organisation at the intersection of Government and innovation. “It functions as a knowledge exchange platform for leaders in the public and private sectors to convene and collaborate with world-renowned experts to create a positive impact for citizens worldwide. “We believe as a country and in particular as a Ministry we can benefit from the sessions and above all this is a great platform to market Destination Zimbabwe. Now is the time to invest in the Zimbabwean tourism sector, I dare say, don’t miss the boat adding that the country’s tourism industry is ripe for success,” she said. The annual gathering of the World Government Summit, held in February in Dubai, hosts over 4000 participants and invites world leaders, international organisations’ representatives, thinkers, and experts from over 150 countries.